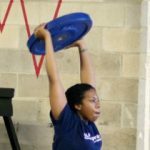 CROSSFIT TALLAHASSEE IS A PROVEN STRENGTH AND CONDITIONING PROGRAM DEDICATED TO MAKING YOU STRONGER, LEANER, AND HEALTHIER NOW. South of Park ave in the Capital Circle Commercial Center. CrossFit has truly made me a better person! I am stronger both mentally and physically. Although working out is hard, I enjoyed every moment of it at CFTally. 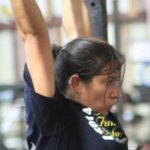 I began my journey at CrossFit Tallahassee over three years ago. In the beginning I would attend a few times a week and honestly, I didn't try very hard. Even then, I still noticed slight improvements and realized that I was slowly making progress (goodbye banded pull-ups and hello double unders). I eventually made a commitment to myself to attend as often as I could (even with my crazy, and sometimes unpredictable work schedule). CrossFit has now become my favorite part of the day. 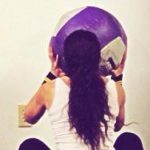 Before I started crossfit I had been going to the gym for 2 years. At the gym I just worked out the same muscles all the time and the routine got boring. 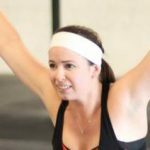 I decided to start doing crossfit and chose CF Tally. I have to say it was a whole different world of working out. 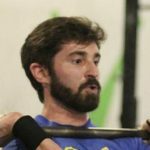 I had never done Olympic weightlifting before and never done some of the exercises we were doing but my coach was very good at watching and helping me do the movements correctly. Crossfit isn’t the easiest but if it was would it really be worth it? You’ll learn how to be the best you. You’ll learn how to be better than the best you that you were yesterday. You’ll look back as I did and realize this new hobby has become something bigger than you expected. It’s become a lifestyle, a family, a home, and positive support. © 2017 CrossFit Tallahassee All rights reserved.